Faridabad graded 9th in the category of Asia's largest Industrial estate is situated in the Haryana District is the commercial and economic centre of the state. The name Faridabad is got from its founder Shaikh Farid who was the treasurer to Jahangir.A number of large scale industries are situated in Faridabad which brings major revenue to the state. As a town it housed a fort, a tank and a mosque, which unfortunately are ruins today. It was declared as the 12th district of Harayana on 15th August 1979. Faridabad is flanked by Union Territory of Delhi on its north, Gurgaon District on the west and State of Utter Pradesh on its east & south. Faridabad, the industrial capital of Harayana was mainly built to protect the high road running between Delhi and Agra. The place is known or it’s Heena Production on agriculture sector while tractors, motorcycles, switch gears, refrigerators, shoes and tyres are other famous industrial products of the city. The place is housed with at least 200 large & medium units & 15000 small-scale units. This is a fair held in the month of February in Surjakund, showcasing folk arts and rich crafts tradition from all over India. The place is prepared with thatched roofs for the display of the craft items. During this mela artisans like potters, embroiderers, weavers, wood carvers, metal workers, stone smiths, painters etc.participate to sell their products. As a part of the fair various cultural programmes are also held and there are number of jolly rides for children and others. Nothing is complete without food, there are number of stalls having traditional Indian cuisines and other varieties of foods. This fair is conducted by the Haryana Tourism. This festival held in the month of November is mainly to promote and bring the traditional Indian Folk Art of dances, music and songs. This festival is conducted in a place called Nahar Singh Mahal in Ballabgarh belonging to a period of around 1739 A.D.Nahar Singh Mahal is also known for its style of architecture. Thus this festival gives an opportunity for to participate and exhibit their talents to a national level audience. This is famous temple in Faridabad situated in the Sector 49.The shrine here has the deity of Lord Shiva along with Goddess Parvati.It is visited by number of people everyday. This temple which spreads over an area of about 3 acres and the flooring is done up with white, green and yellow marble. 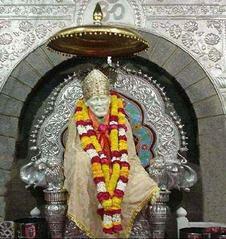 The statue of Sai baba which is about 5.25 feet in white marble gives very graceful look. Other idols present here includes Dhuni and Dwaraka Mayee.The devotees of Sai Baba coming to Faridabad never miss temple. This is situated in the Sector 16A of Faridabad and is about 30kms from Delhi. This is located at about 4km east of Faridabad near Sector -2 in Ballabgarh.It is one of the oldest churches in NCR that came into existence in 1981. This palace is also commonly known as Ballabgarh Fort-Palace was built by Rao Balram the predecessor of Raja Nahar Singh. As a matter of respect and remembrance this palace was given the name of Raja Nahar Singh who died in a war of independence. This palace is known for its architecture. 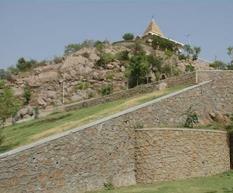 This is located at a place called Ballabgarh which is at a distance of about 15kms from Delhi. The palace was recently worked with antiques and relics of a bygone past. However now the palace has guest houses and it is the centre for many fairs and grand weddings happening in the state. This man made lake is situated in a place called Badkhal village at about 32 km from Delhi. It is best to visit this place during spring for a flower show is held around the lake. This is another beautiful lake located close to the Badkhal lake. Here you can have water sports, boating, canoeing, kayaking etc. 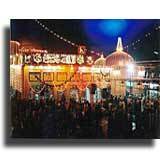 History says that Baba Farid is the founder of the city Faridabad.The tomb of Baba Farid in the center of the town is one of the pilgrimage site both for the tourists and localities. History dates back that the Surajkund complex was built during Tomar dynasty by King Surajpal and hence got its name as Surjkund. But however there are also stories which says that the famous Sun temple was housed here and it is only after this temple the place got its name for Surajkund means 'Lake of the Sun’. There are also evidences for its presence from the remains of the sun temple around the Surajkund Lake. The complex encloses Rajhans, garden and a pool of fresh water. This is one of the famous picnic spot of Faridabad which has boating for entertainment. This place is at a distance of about 20kms from Delhi between Baharpur and Lakkarpur of Faridabad. 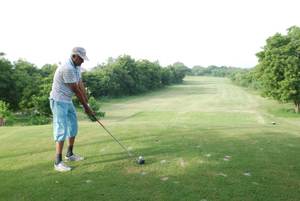 This golf course is at a distance of about 30 km from Delhi with very good standards spreads over nearly 45 acres. This 18-hole golf course was designed by Stephen Kay. The Aravalli Golf Course is maintained by Haryana Tourism and it has built guest houses in the golf course with luxurious rooms. There is also other sport like Billiards. This is a small park for recreation and relaxation amidst the town at sector 12 in Faridabad.The park is adorned with huge trees, plants and neatly maintained lawn. This has small play area for children. Dabchik, is a famous resort which is never missed by the tourists of Harayana.This complex is equipped with luxurious romms, conference hall and restaurant. The major attraction of this beautiful place is the small lake located behind the complex with very well maintained lush green lawns along with colourful plants. 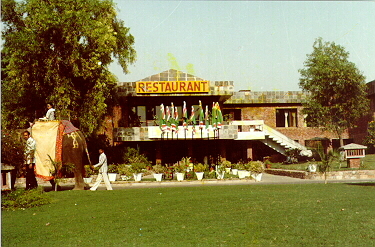 The resort also entertains the tourists with boating and rides on camels, elephants and ponies. Mathura Road is one of the famous shopping area in Faridabad which contains the malls named Parsvnath City Mall and Parsvnath Mall Manhattan where the major attractions of the malls include a delightful entertainment zone, gems and jewellery shop. The trains to major stations like Mumbai, Chennai, Hyderabad passes via Faridabad from Delhi. The Delhi Railway station is about about 25kms from Faridabad.There is local trains between Faridabad and Delhi which is a major source of revenue for the government. The National Highway passes through the city, and thus it is well connected to nearby states. Roadways services of Haryana and neighboring states like Delhi Transport Corporation, Uttar Pradesh Transport Department, Madhya Pradesh Transport Department, etc. are easily accessible. The closest airport to Faridabad is in Delhi which is served by Indira Gandhi International Airport, New Delhi and Palam Domestic Airport, New Delhi.